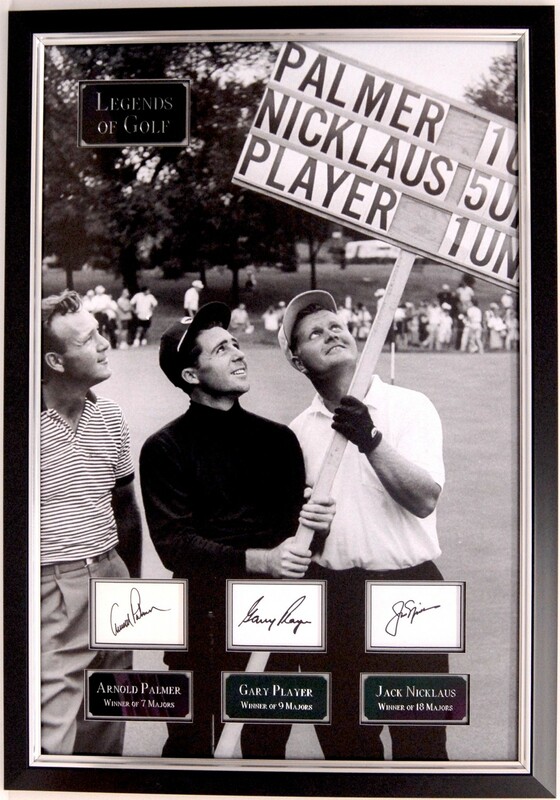 Framed photograph of Gary Player, Jack Nicklaus and Arnold Palmer. This stunning frame includes signatures of three of the games all time greats. They have amassed 34 majors between them and are all Hall of Fame members. The signatures are neatly cut into a stunning black & white image of the players.